Serbia is interested in joining the Turkish Stream gas pipeline project, as it wants to ensure energy security for its citizens and cut dependence on deliveries via Ukraine, said the Serbian Minister of Foreign Affairs Ivica Dacic. "At present, we can express our readiness for participation in this project because we need reliable gas supplies," Dacic said at a news conference in Belgrade after talks with Russian counterpart Sergey Lavrov on Friday. Serbia is concerned that everything can be done with regard to the Nord Stream gas pipeline that runs under the Baltic Sea to supply Russia gas directly to Germany and North Europe bypassing transit states, but everything is forbidden with regard to the gas project from the south, although they transit the same gas from Russia, Dacic added. He called for the European Union to support the Turkish Stream project from the very beginning "grasp the essence of the problem from the very start." In December 2014 Russia suspended the South Stream project as the EU was blocking its implementation. Instead, Gazprom and Turkey’s Botas Petroleum Pipeline Corporation signed a memorandum to construct the Turkish Stream pipeline through the Black Sea with the same capacity of 63 billion cubic meters. 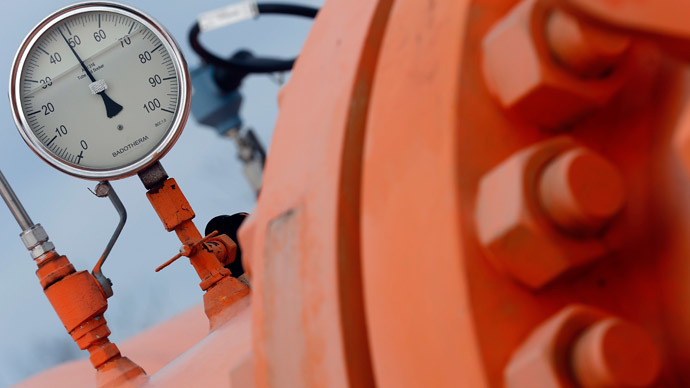 Turkish Stream will pump gas to a hub on the Turkish-Greek border. The EU could influence Bulgaria, which repeatedly spoke out against the implementation of South Stream, but not Serbia, said Dacic. He explained his rather emotional assessment of the EU role in the cancellation of the South Stream as he saw a threat to Russian gas supplies through Ukraine next winter. He added that Serbian authorities are obliged to ensure security of supply for its citizens. "We wouldn’t like to find ourselves in a situation, in several years, when we’ll have to look for those who are to blame for the fact that winter has come and there are no more gas supplies via Ukraine," he said recalling that Ukraine is the only country through which Serbia receives Russian gas. Turkish Stream will allow the strengthening of EU energy security, said Russian Foreign Minister Sergey Lavrov on Friday following talks with Dacic. Turkish Stream will be 1,100 kilometers long and include four pipes. The first one will replace transit from Ukraine to western Turkey. The other three will replace Ukrainian transit to Central and Southern Europe. In April, Aleksandr Medvedev the Deputy Chairman of Gazprom said that the fourth pipe of Turkish Stream will be finished by 2020.